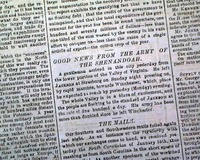 The front page is taken up with ads, reports from Europe--including "The American Crisis In England"-- and "How The North Regards the News From Europe". 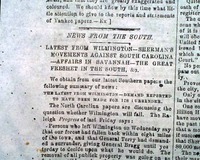 * Electing a Confederate president and V.P. 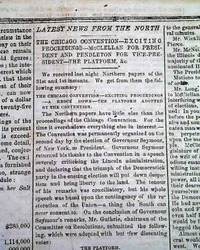 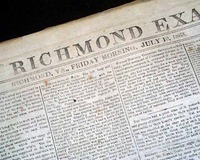 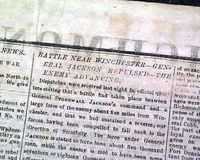 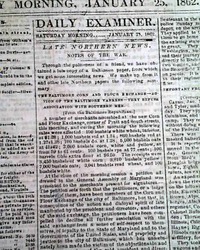 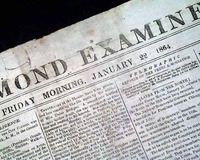 A very nice newspaper from the capital of the Confederate states, with the front page taken up with an equal share of advertisements and news reports, the latter including; "Late Northern News--Notes Of The War" with subheads including: "General Ben. 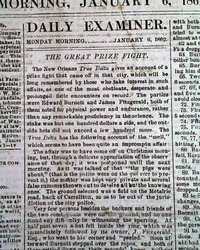 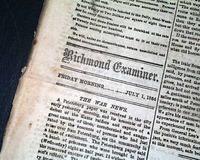 Butler's Expedition" "
A nice newspaper not only from the Confederacy, but from its capital, through which all war-related news would flow. 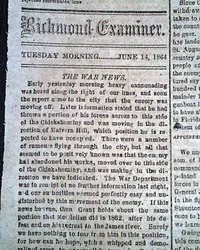 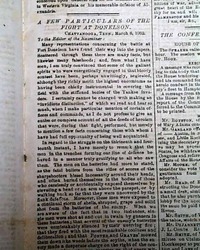 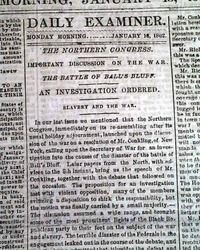 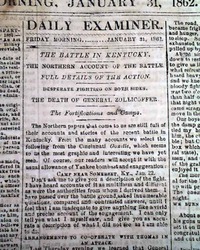 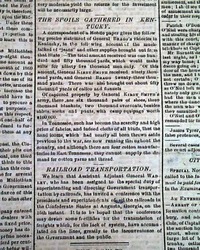 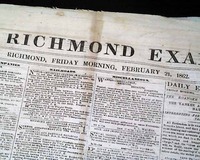 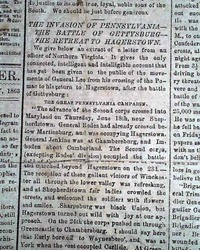 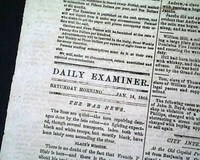 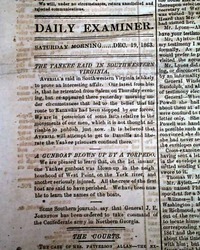 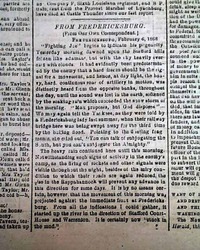 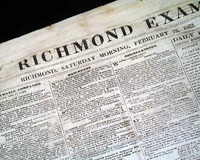 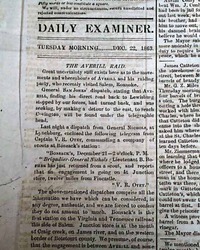 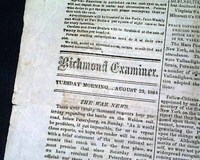 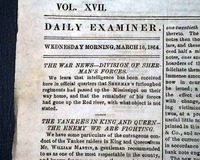 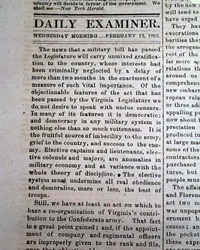 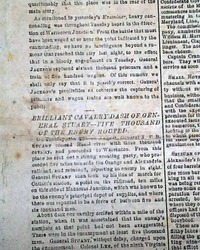 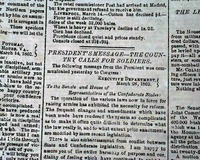 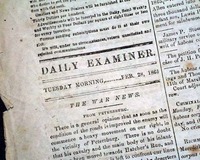 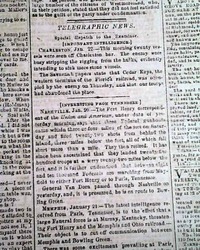 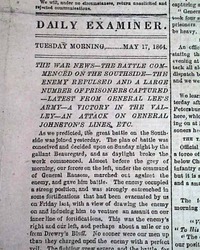 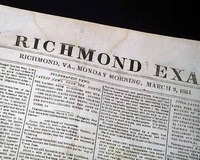 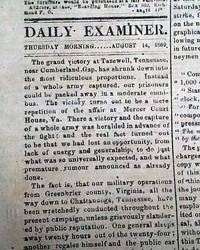 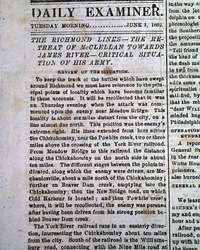 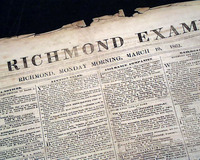 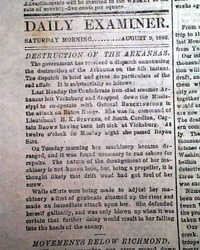 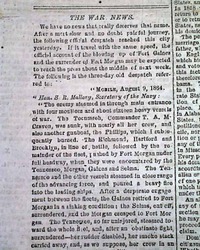 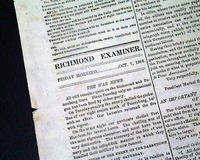 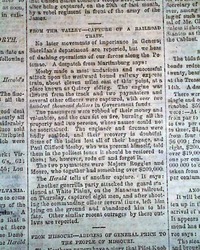 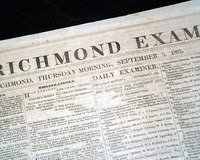 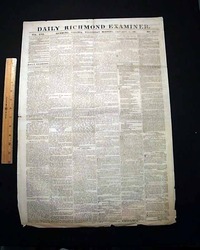 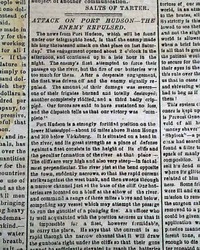 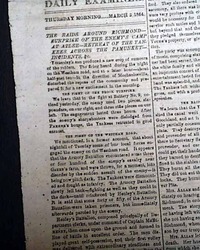 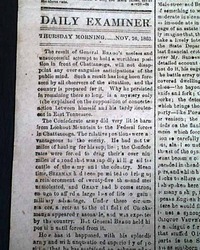 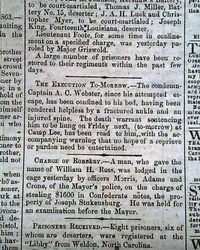 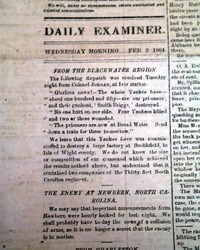 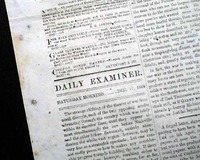 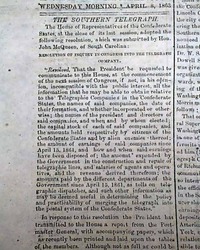 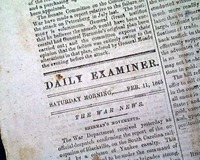 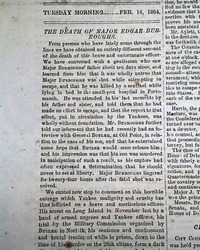 A very nice newspaper from the capital of the Confederacy, the city through which all Civil War reports would flow. 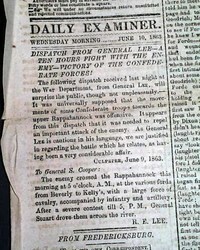 This issue is from quite late in the war. 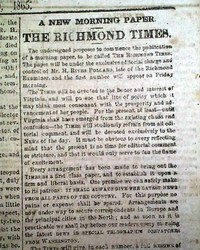 Jefferson Davis proclaims a day of thanksgiving and prayer..
DAILY RICHMOND EXAMINER, Virginia, Jan. 6, 1864 Not just a nice Confederate newspaper, but from the capital of the Confederacy.